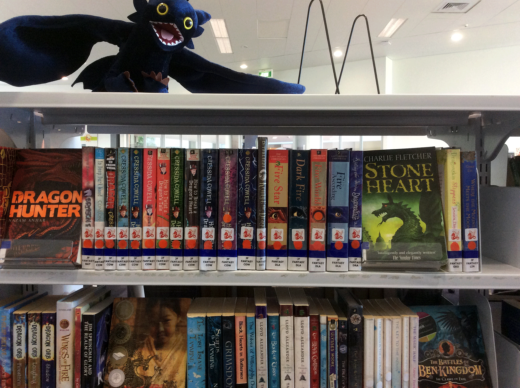 The Fantasy section was created after a genrefication process at the Kristin school library in New Zealand. This section features the "Dragons" subgenre of Fantasy. Courtesy of Alison Hewett, 100 Great Books Before Lunch. Taylor started pulling out her top titles in different categories, making a tabletop display of Mystery books here and Sports there. When she had to box everything up for a remodel anyway, she searched Pinterest and discovered “genrefication,” a movement to organize schools’ libraries by type, like bookstores. Little did Taylor know, she’d stumbled upon a hotbed of controversy in the world of library science. Under the Dewey Decimal System that revolutionized and standardized book shelving starting in 1876, nonfiction essentially already gets the genrefication treatment with, for example, Music located in the 780s and Paleontology in the 560s. Yet most fiction is shelved in one big clump alphabetized by author’s last name. Under this rubric, a child who liked "The Hunger Games" could find its sequel nearby, but they’d need sophisticated search skills to identify "Divergent" as similar and then find it using a call number. Since genrefication enables one book to serve as a gateway drug to the next, its fans say it encourages literacy—especially for those least likely to effectively scan a book’s summary or master catalog search: struggling readers, students not yet fluent in English, and those with learning disabilities. Illustrated signs demarcating each section and color-coded spine labels provide these kids with visual cues that render them more self-sufficient. Meanwhile, the argument goes, others can still use the catalog to locate favorite authors across genre. “It used to be when a class would come in,” Taylor said, “I’d have a line of 10 kids that needed to ask me, ‘Where’s this book?’ Or where’s this or that.” After genrefication, she said, “some periods came in, and there wasn’t one kid that needed to ask me anything, and they all found books in half the time.” A child who previously floundered “went right over to the Humor shelf, and it took about 30 seconds,” she added. Some take advantage of a transition, like Taylor who sorted her collection during a three-week winter break and then completed the project over the following month with help from another staff member and a few students (plus about $500 for new labels). Collazo said she worked on the reorganization alongside an aide and about 10 eighth-grade students a little each day for four months. Others report shortcuts like using books’ copyright pages or Goodreads listings to quickly select a genre. But there’s no question that time and effort stand as barriers to implementation. The Dewey-loyal also oppose genrefication in principle for, interestingly enough, the same reason others support it: self-sufficiency. Sure, they argue, kids might be better able to find a book independently in their school library, but what happens when they go to the public one? When they get to high school? 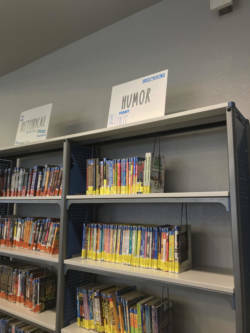 Each library shelving books according to its own system is exactly the problem Dewey set out to fix, and it’s one that’s particularly problematic for high-mobility kids who move from school to school, they say. Even then, the New York City librarians wrote: “Having moved away from an old system of organization that demanded that a significant portion of our teaching time was spent on simply finding books, we’re now able to concentrate on talking with our students about books, as well as teaching them critical thinking and assessment skills.” So the decision could come down to a pragmatic consideration of resource availability and student body composition, but it might also touch the soul of the field: What ought the core mission of a modern school librarian be? Collazo took things in the other direction. She de-Deweyed many of her nonfiction books as well, moving, for example, Parapsychology and Occult to sit alongside scary fiction books: “Students didn’t tend to find the 133 section before, but boy do they find them in the Horror section.” That’s a move others who genrefy say better aligns libraries with the Common Core curriculum. Note: The author's children attend Rooftop Elementary and she is a member of the school's PTA and School Site Council.